Select the New Network icon in the top right and create a new network. I’ve named mine simply “Twitch”. Next select New Server and enter irc.twitch.tv in the Server field. Note: Not sure how to get an OAuth token? Check out this token generator created by @bGeorge. 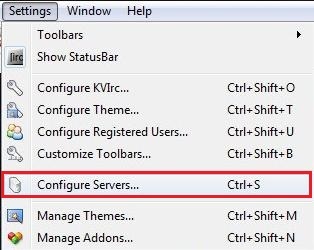 Check Connect to this server at startup to join the server automatically whenever launching KVIRC. Now simply click Connect Now. Standard IRC context applies here as above. To join a channel, type /join #channelname in the dialogue box. 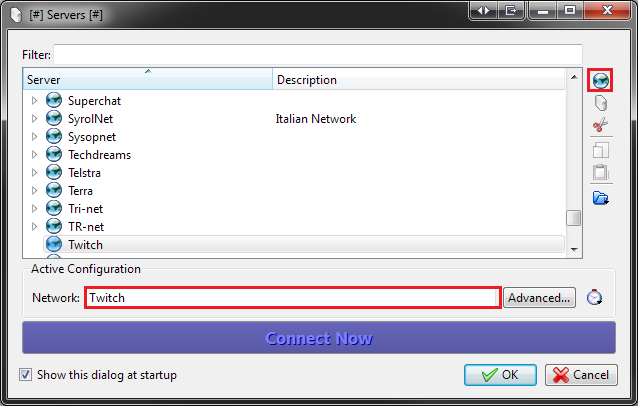 KVIRC can be configured to join channels automatically, as well. 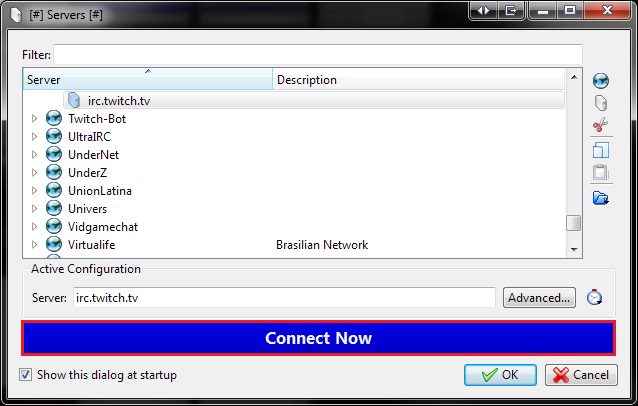 To do this, select the Join Channels tab in your Server Details page. Add channels by typing the channel name in the dialogue box and clicking Add. Shout-out to @Izlsnizzt for writing this guide on connecting to Twitch chat via KVIRC!